German international Mesut Ozil has insisted that his future at the London-based club is linked directly with Arsene Wenger’s future at the Emirates. The midfielder has also replied to Thierry Henry’s comment that Ozil and Alexis Sanchez are “holding the club hostage” with their wage demands. “I am very, very happy at Arsenal and have let the club know that I would be ready to sign a new contract. 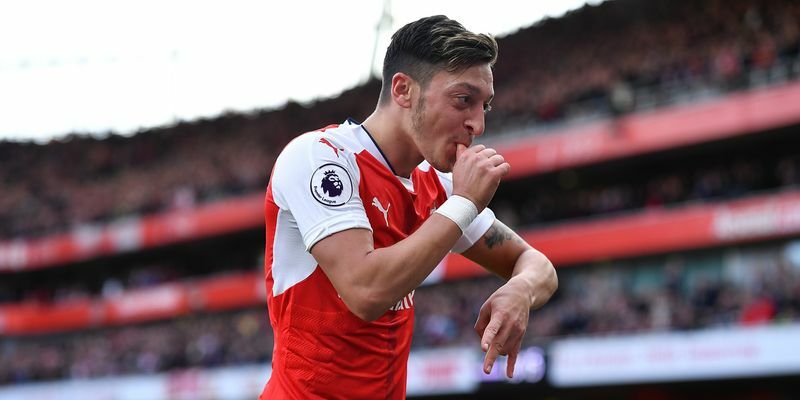 The fans want that I stay and now it is just down to the club,” Ozil said, much to the relief of the Arsenal fans, who have been anxious about the contract situations of two of their star players. Both Alexis Sanchez and Mesut Ozil have 18 months of contract left at the club and are yet to sign an extension. Reports have suggested that both the players are demanding a massive raise in pay and are unwilling to settle for anything less. However, Ozil has claimed that his future at the club is linked to that of Wenger, whose contract runs out this summer and many are suggesting that this could be the Frenchman’s last season at the Emirates. “The club knows that I am here most of all because of Arsène Wenger. He is the one who signed me and he is the one whose trust I have. The club also knows that I want to be clear what the manager is going to [in the future],” Ozil told the Guardian. Everyone has a right to say what they want but what they have to say doesn’t interest me. Last month, Arsene Wenger stressed on his belief that no player is bigger than the club when asked about the contract situation of Sanchez and Ozil. He had said, “Arsenal is a big club. It is not one or two players who will make the difference. The important thing is we are in a strong financial position; that was not the case before [when the club changed stadiums].